SUBMIT THE FORM BELOW TO SCHEDULE A COMMERCIAL ROOF CONSULTATION. We protect your company so that you can do business as usual. Our replacement roofs employ established technologies to deliver superior energy efficiency and durability. 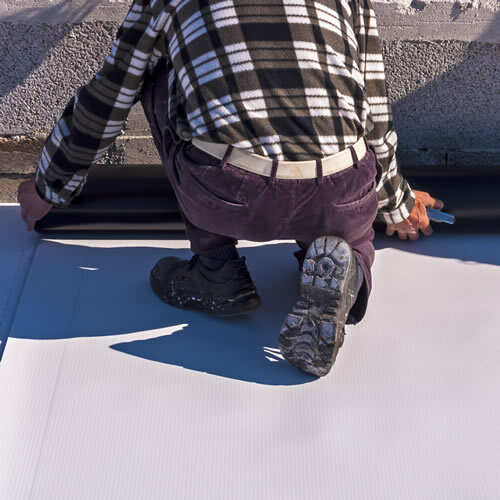 A Grade Roofing experts are also well-versed in corrective techniques that ensure the problems that initially compromised the integrity of your building’s roof won’t happen again. We’re proud to support Texas companies by helping them keep their properties operating for as long as possible. From competitors to market conditions, your business faces many challenges. Give your company a head start by installing a roof that can keep up with your enterprise as it grows. 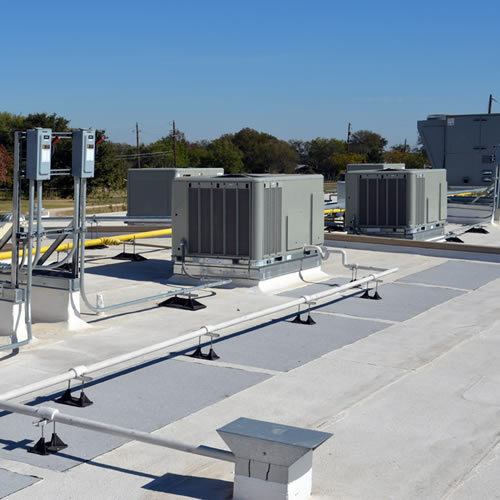 A Grade Roofing experts can advise you on the latest in industry trends and help you make more informed decisions about which kinds of roofing materials will protect your business equipment, assets and employees while minimizing upkeep demands and facility operating costs. Every second that you spend waiting for your insurance claim to go through is another instant that you sacrifice profitability. Ensure the continuity of your business in the face of disaster by talking to us about your claims inspection and settlement. Our staff members are experts at assessing all types of damage and providing remediation plans. We’ll take care of the insurance details so that you can focus on keeping your organization moving. We can customize thermoplastic membrane installations to help your building realize the ideal energy-saving capabilities and resist wear. Our EPDM synthetic rubber roofing materials are perfect for creating low-slope installations that last in the face of weather. Coal tar roofing systems feature built-up membranes that are easy to maintain, cost-effective and extremely long-lived. Asphalt roofing systems offer thermal performance, cost-effectiveness, fire resistance and the ability to create custom multi-layer systems. Gravel roofing can increase your building’s resistance to UV rays, heat and weather at a highly economical cost. 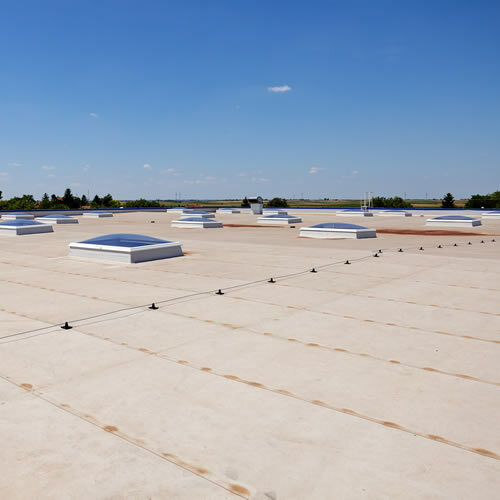 Modified bitumen roofs are one of the industry’s fastest-growing solutions, and they provide an attractive combination of features. We make it our business to help other businesses keep their corporate facilities in peak operating condition. Our staff members go through intense vetting and training before we allow them to work on your property. We also employ rigorous quality assurance procedures that help us avoid mistakes and minimize the costs of our installations, repairs and upgrades. You can depend on the manufacturers that we work with because they’ve proven themselves in the face of all kinds of conditions. We only use roofing materials whose quality reflects stringent testing and manufacturing standards, and this allows us to provide more extensive product warranties. We’re fully licensed and insured to operate in the state of Texas. We wouldn’t trust contractors to work on our facilities if they didn’t meet these basic criteria. Considering the amount of work that you put into building your firm, you shouldn’t have to either. Our compliance with local building codes and precise procedural governance do more than help us attract clients. They also ensure that you can continue to operate legally. By working with A Grade Roofing, you’re building a firmer foundation for your enterprise’s expansion. We're not here just to get the job done and leave. Instead, we believe in building relationships with our clients, and we take extreme pride in being able to help you keep your property in excellent condition for years after we’ve finished our work. A Grade Roofing strives to deliver high-quality customer service, and we’ve spent decades forging solid partnerships with the industry’s best suppliers and experts. We ensure that you’ll be able to feel comfortable about having a roof over your head no matter who you are. We look forward to speaking with you about any project questions you have. © Copyright 2017, All rights reserved. Cinque 5 Development, LLC.